Candelilla Wax is a natural non-animal based wax. Plants producing candelilla wax grows in Mexico, in the North Central Plains, and the Chihuahua Desert. It is a very hard wax with superior quality. It mixes well into most formulas containing animal, vegetable and mineral ingredients as well as a large variety of natural and synthetic resins. Our Candelilla Wax is 100% pure and cosmetic grade. All Natural. COMMENTS: Great results when paired with beeswax: candelilla provides shine and beeswax adds flexibility. The combo works great in balms. COMMENTS: I use this in place of bees wax for my vegan customers. I really haven't noticed a difference, and they are happy with the product. I recommend this product in place of bees wax. I will purchase again. "Great Price & Quality "
COMMENTS: This wax is a perfect vegan alternative for beeswax. Great price, especially for the excellent quality! COMMENTS: I am new to making homemade lip balm. I began my research to find recipes that did not have harmful chemicals within it, candelilla wax was a frequent ingredient as it is vegan free and provides a nice finish to your product. COMMENTS: Vegan option to beeseax in every except the usage rate. Took a minute to create the perfect usage rate. But once I found it, I created an awesome product with it. COMMENTS: Was thrilled to discover WSP carries Candelilla wax! I use it in my solid perfumes as a vegan alternative to beeswax & it's an outstanding product! Because this is such a hard wax, the amount required in my solid perfume recipe is half that of beeswax, so a little goes a long way! Comes in flakes, so is very easy to weigh out & melt down. Will continue to purchase this wax from WSP as the price is great too! COMMENTS: I use this product in my solid cologne and it gives a nice texture and look. COMMENTS: This is the first time i used this. So maybe i need more practice. Its really powder like. I thought it was going to be more like small round pellets. This product is ok. Takes awhile to melt. COMMENTS: I had been looking around for an alternative wax to use to keep products vegan friendly. Stumbling upon Candelilla Wax was the perfect option! It kept my balms stiff, especially in this very hot summer weather. I was concerned about it not keeping the balms shape while also possibly being too harsh to use. It ended up being perfect with my recipe tweaking! Will continue to use this product for future balms! COMMENTS: I was looking to make lotion bars as gifts to some people who prefer vegan products. This was a great alternative for recipes that used beeswax. It's very easy to use, has no scent and helped produce a firm, creamy lotion bar. COMMENTS: Excellent vegan alternative to beeswax. I love that WSP sells smaller sized for me to try out something new. COMMENTS: When I switched to only vegan products, I was concerned that my hard lotion bars were not going to be as good because of not using bees wax. The candelilla wax is amazing in it. I even started to make oil balls with it. Now my customers get the products they want and I get to keep my high standards! "Great Vegan Alternative to Beeswax"
COMMENTS: Switched to this wax from beeswax, in order to provide a vegan lotion bar option to clients. You cannot 1:1 substitute your candelilla for your beeswax, you do have to experiment with the ratios. It's a harder wax in general, and gives a lot less drag on the lotion bars compared to beeswax. The glide was smooth and slick. The wax also gives a shiny appearance to the surface of the butters, something that wasn't there with beeswax. The only negative, and the reason for not giving it all 5 stars-- there is an odor. It is ever so slightly smokey to me, but not everybody is able to detect it-- in fact most could not. Overall it was not a show-stopping issue, and the clients were pleased with the product. "Amazing Substitute To Bees Wax"
COMMENTS: I switched over to Candelilla Wax so my clients had a vegan option! Love this! COMMENTS: I use this in my vegan lip butter balms, and it works great. Great quality and price. "Leaves a very firm texture"
COMMENTS: This is the first time I have purchased and used candelilla wax. I bought this to use in Lip Balms. I am fairly new at this and made lip balm using this wax. I used half of what was recommended for the beeswax in the recipe. I had no issues with melting the product or in the final product. It does provide a very firm balm. COMMENTS: This is a great vegan alternative. COMMENTS: A little goes a long way and it's super soft and creamy in my lotion bars!! Love this stuff!! COMMENTS: I use this wax in many of my vegan products. Works great. COMMENTS: This is a very interesting wax. It has a total different feel. COMMENTS: I used this for my 3rd batch of lip balm. I wanted a balm slightly firmer than what I got using bees wax. This did the trick! I think it was slightly too firm, so I plan to mix it with bees wax in the future. COMMENTS: I wanted an alternative to beeswax and this is great! A little goes a long way and I love the consistency of it. I use in hand salves, cuticle balms and body balms. Everyone is raving about it in the new products. COMMENTS: I love this wax! 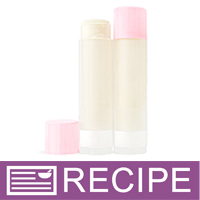 It is in little flakes so it melts easily and is wonderful for vegan lip balms! This is the only wax I use and the lip balms have a very smooth glide on application and glossy silky feel, not dry or tacky feeling. COMMENTS: I use this in my sugar scrubs and a few other small recipes. I have purchased for many years now and am very happy with its melting and mixing with my oils. I recommend it for your products when recipe calls for it. Price effective and works well. COMMENTS: This is a great alternative to beeswax. COMMENTS: This works great in my lip balms! COMMENTS: Nothing worst than waiting a super long time to get the wax to melt. This product is so nice and small that it really helps the melt time. Liked it so much bought it in larger quantities. COMMENTS: Since adding candellia wax to my lip balms I have noticed they seem to stay on my lips for longer. I gives the oils more time to stay on and moisturize my lips and making the lip balm last longer so I doesn't need to be reapplied as often. COMMENTS: High quality wax! I really love the re-sealable packaging! Thanks WSP! COMMENTS: I love this wax,. It takes much less to use than bees wax. COMMENTS: add to lip balm. always great! COMMENTS: My products are all vegan, so this wax is great. My deodorant for sensitive skin and antiseptic balm are a huge hit. This wax is easy to work with and gives a smooth texture to my products. Love it. COMMENTS: Good substitute for beewax in lip balms. COMMENTS: Great alternative to beeswax, preforms well and works great. Perfect. Will order again! COMMENTS: Purchased this to use in my lip products, will be using this on next batch as I just got this in, thnkx for the wonderful products. COMMENTS: I used this to make 2 different kinds of eye serums and this stuff is great. Melts nicely and works well. "I love this candelilla wax"
COMMENTS: This is a great substitute for bees wax! Gives a nice texture to my balms! COMMENTS: I loved loved working with this product, and used it in my vegan products in place of beeswax. It was a light wax and no complaints with my final product. COMMENTS: I got this wax so that I could make vegan versions of my lotion bars and lip balms. I used it at about half the rate of beeswax. It comes in easy to work with shreds, melts smoothly, is darker in color than beeswax and has a slight odor at first. In my unscented lotion bar the scent is undetectable over the unrefined cocoa butter. It also gives the lotion bar a nice shine. Will buy again. "The smell was horrible ... like something burning!" COMMENTS: This wax came out of the bag with a strong, horrible burnt-like smell. It would remind a Catholic person of the stuff they burn and wave through the air in church. It was there before I melted it, and remained after I melted and cooled it. (I even tried rinsing and drying it to see if it would help the next time -It did not!) This wax had the physical qualities in which I was looking, but, the smell completely ruined it's ability to be used for vegan lip balm or lip scrubs. I tried to cover it with the WSP cotton-candy flavor oil, and that was no help at all! I need this wax for my lip formulations this month, but will have to unfortunately buy it somewhere else. Very disappointed. WSP Response: Thank you for your honest review. This wax does have a moderately strong natural odor. If you have a sensitive sense of smell if may be more noticeable to you than others. This natural odor is within the acceptable manufacturing specs for this wax. • Horrible, Nightmare, burnt-tire smell ! COMMENTS: Great to use as a vegan option for beeswax for those of us trying to avoid palm derived products. I use about half the amount (by weight) as I normally use of beeswax in my recipes. COMMENTS: Great addition to beeswax in lip balm. Adds some hardness, performs well. COMMENTS: I use this in all of my lip balms, lip scrubs, shimmer sticks and lotion bars. I love the quality this wax gives to my all natural homemade bases. Unfortunately, the scent is rather strong and doesn't go well with some of the lip balm scents. I need to keep experimenting....Great price and quality! COMMENTS: Only used a couple of times. So far so good. COMMENTS: I use this wax in my lip sugar scrubs and as a replacement for beeswax in my vegan lip balms and lip scrubs. This is my go to source for it as a number of other vendors I use only carry beeswax. Its a harder wax than beeswax, so use less of it than you would beeswax when replacing. "Great wax for lip balm. " COMMENTS: I like the pastilles as they melt easier than the larger chunks. I have purchased large pieces of was and it was a pain to grate it. COMMENTS: Shredded consistency easy to measure and helps melt quickly, would never use another brand. COMMENTS: I use this wax to make vegan lip balms and lotion bars. Price is right giving you can get free shipping out of WSP. COMMENTS: This is a very hard wax, so a little goes a long way. A great way to add firmness to a recipe without too much beeswax. Also a great vegan alternative to beeswax. COMMENTS: I love this wax. I will not make a lip balm or gloss without some of this. I replace up to 25% of beeswax with this wax. It gives the whatever your making a smoother glide. COMMENTS: We like this product for several of our items. Use mostly in lotion bars. It is easy to work with and melts nicely. 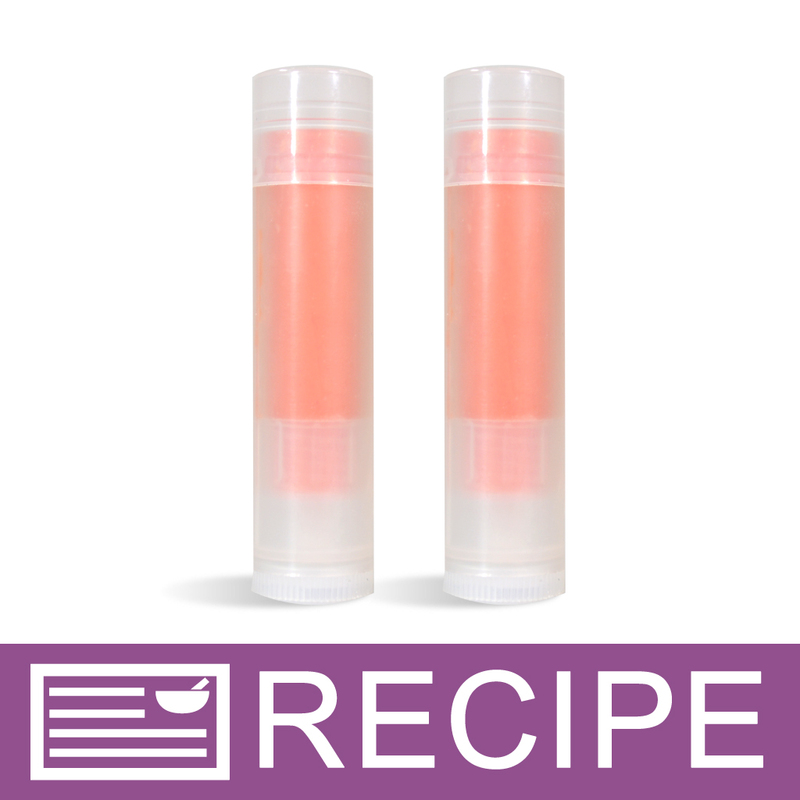 COMMENTS: I like to make Vegan lip balms and this wax is great. I like the aroma of the wax, it is not overpowering and the essential oils I add to the lip balms cover up the aroma entirely. I recommend this product and will purchase again. COMMENTS: I love this product for my lip balms. Not only do you less of it than with beeswax but it supports the vegan community. Best product of this type as it is shaved into small flecks that melt very easily and even. COMMENTS: I used this to make lotion bars and it does take a bit longer to melt as oppose to beeswax, but still works well. COMMENTS: I use this to make a vegan version of lip balm and body butters and lotion bars. I have lots of vegan costumers and they love to have an option when purchasing from me. COMMENTS: Great color, blends well, and nice slip. However, takes longer to melt with Shea Buter. I prefer it to beeswax. COMMENTS: I purchased this wax in place of the beeswax to put in my products due to people having beeswax allergy. So i did my research and found that this candellila is the best to use for allergies and vegans in the community. Even thought it has a higher melting point it still performs great and holds its shape well! COMMENTS: I bought this wax and thought I would have it to use as a vegan alternative. And then I was running low on beeswax and had to substitute it in. Well, as it turns out, I liked using it much more than the beeswax! I only need half as much and there is no odor like you can get from the beeswax. The product is wonderful. I especially like using it in my lip scrub an now my lotion bar stick. So, if you are hesitant to try it, don't be... it is great. 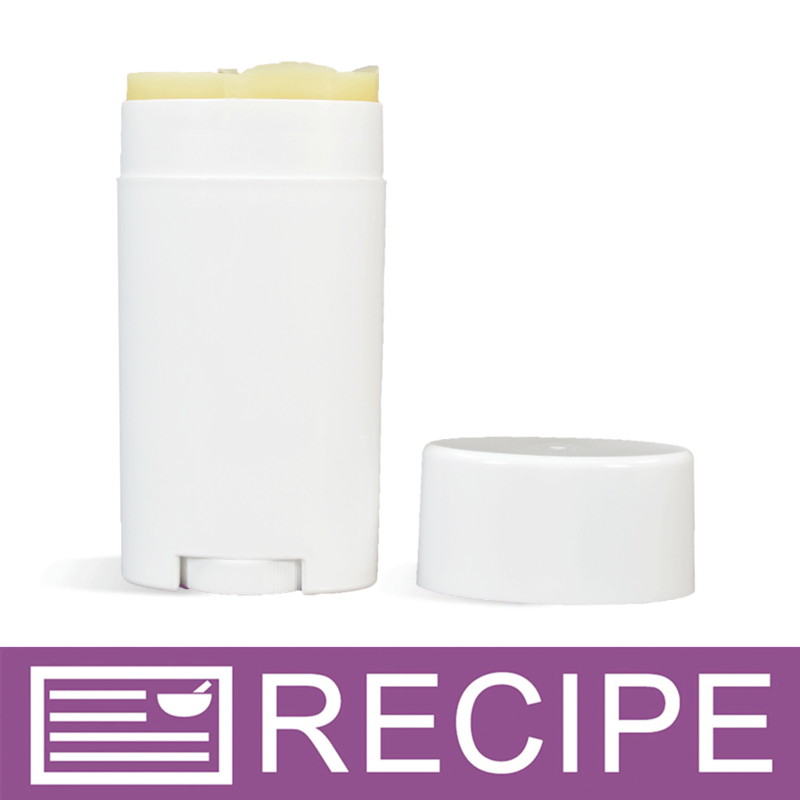 COMMENTS: Great for use in lip balms when combined with other butters and waxes. COMMENTS: I use this in lip balms and hard lotion bars. It is easy to work with and gives my product the stability it needs. "So much better then beeswax"
COMMENTS: This wax is perfect for my lotion bars. It melts faster than beeswax and does not leave a lingering scent. I will purchase this product again without question. COMMENTS: I like candellila for the slip it provides. The package was easy to work with and the tiny bits melt quickly. COMMENTS: I love to use this stuff for making vegan recipes. It works just as good as beeswax! COMMENTS: I used Candelilla Wax in my Mascara formula, it left the wax you need to hold the product on the lashes. I'm sure it will come into use for other products as well too. COMMENTS: Love this in my sugar scrubs! Will continue to buy! COMMENTS: I'm new to making homemade products, so this is the first wax I have tried. Having said that, I think the quality of this product is as good or better than I could find anywhere, so I will continue to buy from this company. I love that this wax is so easy to use and to measure out. It makes the process very simple. COMMENTS: I don't use beeswax because I have so many customers that are vegan, I have been using this wax for a couple of years now in everything from solid lotion bars to solid perfumes , tattoo balms etc...this is a great product and have had absolutely no complaints. COMMENTS: I got this and immediately made a solid perfume with patchouli, it works perfectly! I love how it's powdered down rather than formed into pellets like beeswax. COMMENTS: this wax is great i use it in lipstick, lotion bars, body butter, and also candles for hardness. the feel of this in my lipstick is very nice! i love the smoothness my lotion bars get with this wax. it is vegan too, so my vegan costomers love it! i love the way it smells too! "Great choice for vegan friendly products"
COMMENTS: I used this in my deodorant bar and love that it provides a chance for vegans to use my product. Excellent price as well. COMMENTS: I use this for lip balms. Works great! COMMENTS: I use this in my foot butters and my customers love that it is plant based. COMMENTS: I needed the Candellila Wax for a couple of recipes and they turned out great. I had some of this wax from another vendor but now will only use WSP's. WSP's Candellila is more finely shredded and has a better feel and texture. I used this in the cuticle cream and the lotion heel recipes and they turned out very smooth and creamy with a nice glide. Look forward to using this in more products. 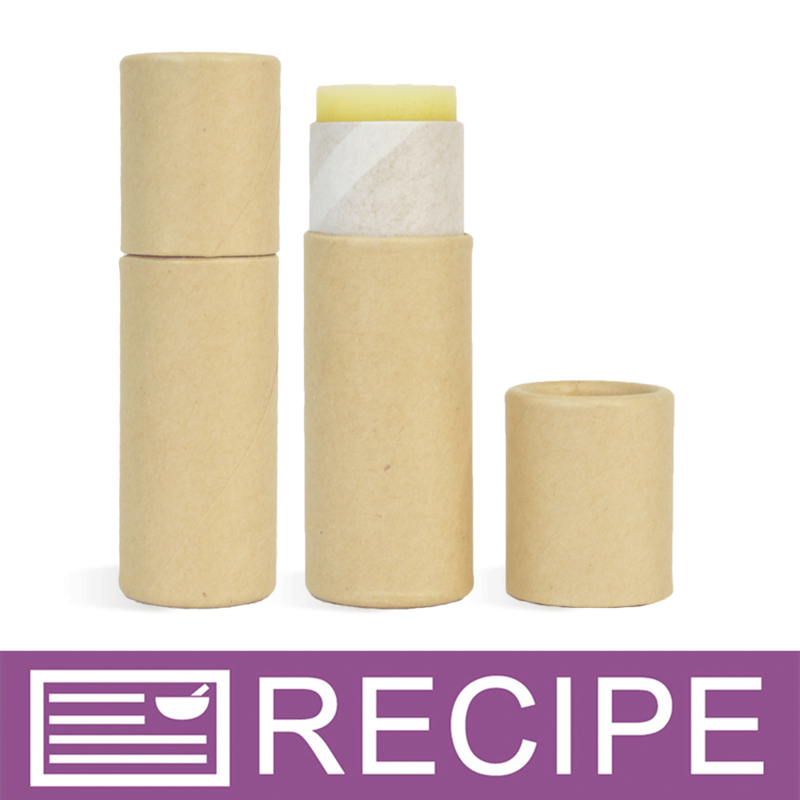 COMMENTS: I love the beewax.It is easy to use for making lotion bars or lip balm. I will order more later.Thanks WSP! 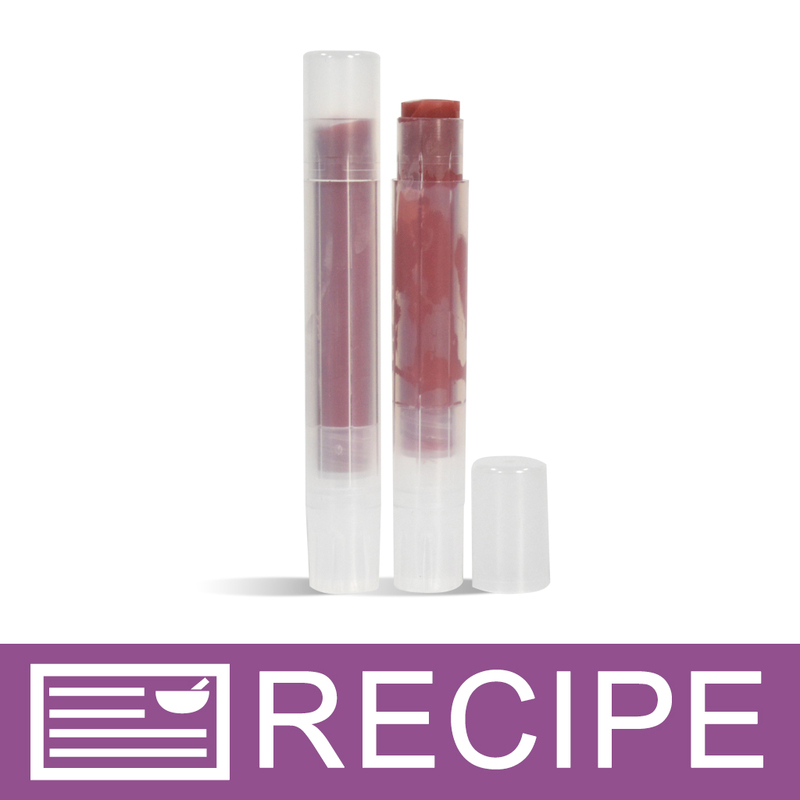 COMMENTS: Used in the lip recipe from wsp. Melts easily and worked great in recipe. COMMENTS: I love using this wax in my products, especially lip balms. I have yet to have one of my products melt in my car! My customers love this and also love that it is vegan friendly. Do follow the recommended usage rates because too much of this wax can cause a dry, flaky feeling on your lips. COMMENTS: This wax came with the lip balm kit but I reordered so that I can continue to make my lip balms with it! The recipe is great! COMMENTS: Super creamy ,, nice natural scent ,, best out there Because it is very finely shredded,, some brands are cut to thickly and melt slowly! COMMENTS: I use this in my herbal balms and lip balms and it works great. COMMENTS: Melts easily and have not seen any impurities. Great price too! COMMENTS: The price is on point and the color is beautiful. I love to use this with cocoa/mango butter with no color - that's my favorite! COMMENTS: I use this in my lip balm recipes and will not make it without it! Great quality product. COMMENTS: I use this in my lotion bars & it makes them nice and slick. Love it! Good price and quality. Can't wait to use it to formulate lip balm. COMMENTS: Perfect substitute for beeswax...but be aware that you need to test your recipe as you may only need to use half the amount of wax when replacing beeswax with Candelilla. It's a harder or brittle wax, but perfect for vegan customers. Lip balms are nice and spreadable and soft on the lips..not a heavy waxy feeling. Used also in lotions at a low percent...this gave the heavier body cream a bit more "staying power" and protection from the elements. Leaves no odor, but it is yellow the the color is a bit whitish-yellowish depending on your lotion or lip balm recipe. COMMENTS: Used this to make lotion bars. I loved how they turned out. Melted easily and makes for a harder lotion bar. COMMENTS: This wax adds a pretty shine to lip balms and lotion bars, not to mention a glossy slip. I do mix it with beeswax and it doesn't take much at all. Easy to weight little flakes... nice. COMMENTS: this works well. thought i was going to need a lot but a little goes a long way with this. "Great Vegan Option for Wax"
COMMENTS: I make vegan biodegradable skin care products & this candelilla wax is perfect! You only need to use half the amount of regular beeswax because it is a hard wax. Great price & great quality! COMMENTS: This is a good wax that is great to help solidify soft butter when added. You only need a little. I've used it in cuticle cream and eyeliner with great results. It melts really good because of how fine it is. COMMENTS: I use this in several different products as a vegan alternative to beeswax, and so far I have been pleased with the results. I looked at a few different places for this item and WSP had the best prices!! "makes a best selling product"
COMMENTS: I use this in flip-flop-heel helpers, and I sell lots of those! This is what gives the FFHHs the power to stick and stay on heels and that's what customers love about it. COMMENTS: This comes in small flake form. Which is way easier to work with instead of the little static balls I have used before. Great price too! "Lip Balms & Lotions oh my!" COMMENTS: Love that this ingredient is vegan, environmentally sustainable as it's wild-harvested from a fast-growing desert weed. I use this in place of beeswax for my lip balms & the baby cream lotion I have for my baby line. Customers love it! COMMENTS: I'm vegan and make lip balms with candelilla. It's excellent stuff! Not to mention environmentally sustainable as it's wild-harvested from a fast-growing desert weed. COMMENTS: I used this in lip balm at 18% along with cocobutter castor and olive oils. This is my best ever formula, used those oval lip balm tubes fantastic. COMMENTS: I used this in a lip dip & was very satisfied with the results. I am always looking for plant-based products & this one worked great! "Is the candelilla wax you carry processed the old way with sulfuric acid or the new way(since 2013) with citic acid? The company that patented this process is Multiceras." Staff Answer Our supplier uses the traditional method of sulfuric acid extraction. "Can you substitute this for beeswax? And if yes, what the percentage be? Thanks"
Staff Answer Depending on the recipe candellila wax could be a substitute but we cannot recommend a specific percentage. Please note that beeswax is much thicker and has a higher melting point than Candellila Wax. We always recommend testing substitutions in a small batch to make sure the results are to your liking. "Is this candellila wax "double refined?" I have used the double refined from another supplier, with no graininess issues. Then I used some regular refined that looks like sand, and my lip balm became very grainy and was ruined. The double refined is considered food grade and is used in candy making, but I just need my balms to be smooth without the grainy problem!!" Staff Answer Hi LuAnn, Our Candellila Wax is double refined. "Would you use the same % of candellila Wax as beeswax in lip balm? Thanks!" Yes, Candellila Wax is a close substitute for Beeswax in lip balm but it is a harder consistency. It has been said that a substitute ratio of 2:1 of Beeswax to Candellila Wax can be used but we recommend testing your product to determine exact measurements. I always use the same amount of Candellila wax in lip balm as beeswax. It really seems equal in hardness to me. I also use the same % of it in lotion bars, works great!! "Are there any graininess issues with Candellila wax? If so, are there any special instructions to prevent it? Thank you!!" We have not come across any texture issues with the product. If you would like to view other customer reviews you can Click Here and look under the 'Reviews' tab. "why does this wax take longer to melt as oppose to beeswax?" Staff Answer Candellila wax is a harder wax than beeswax and also has a higher melt point that beeswax. Therefore it will take a little longer to melt candellila wax than beeswax. "For a nice hard bar What would be the max usage rate for lotion bars? " Staff Answer 5% would be the recommended amount. Increase the amount if you desire a harder bar. you are typically supposed to do one part wax, one part oil, and one part (type of) butter. "Hello, I am having issues with my body butters melting in the hot Florida weather. Will this wax help my products stay solidified?" Staff Answer You could but I would recommend Coca Butter rather than beeswax. Beeswax will change the feel of your body butter and adding too much candellila wax will leave a tacky waxy feel on the skin. Add the cocoa butter in small amounts until you reach a consistency you are happy with. I am currently using a mix of water, shea butter and coconut oil, will cocoa butter be a better mix to stay solidified? I would opt to use Mango Butter or Coco Butter and maybe just a hint of Candellila wax. The Mango and Coco will melt slightly but will hold a lot better than Candellila. Also, try using two teaspoons of arrowroot powder, it helps keep the form of your butter and can be found at health food stores like WholesFood. Hope this helps and let me know the progress. Happy Creating!!! "Is candellila wax odorless? Does it leave an odor on the skin when used in a lotion bar recipe??" Staff Answer Candellila Wax has a very light natural odor. If any odor is left on your skin will depend on the percentage that you use in your recipe. Even at a high concentration we feel it is unlikely that you would notice an odor. You could easily cover an unwanted natural odor in this wax with a Fragrance or Essential Oil. "Can I substitute Candellila Wax for beeswax in a sugar scrub recipe? I'm trying to do it without beeswax in case someone is allergic. Thanks for your help?" Staff Answer Yes it can but you would need to test your recipe to ensure the correct outcome of your product. "What is the easiest way to clean this wax off your utensils and containers?" The easiest way to clean off the wax is to heat the utensils and containers. If they are safe to put in the oven, warm them for about 5 minutes or so, then wipe them down with paper towels. If they can't go into the oven, run them under hot water to melt the wax, then wipe with paper towels. "Can you substitute e- wax for candellia wax?" E-wax is meant to be used as an emulsifier to combine water and oils so it is a great choice for lotions or emulsified scrubs. Candillila wax is not an emulsifier by it self to my knowledge but is a good choice for vegan lip balms and lotion bars. 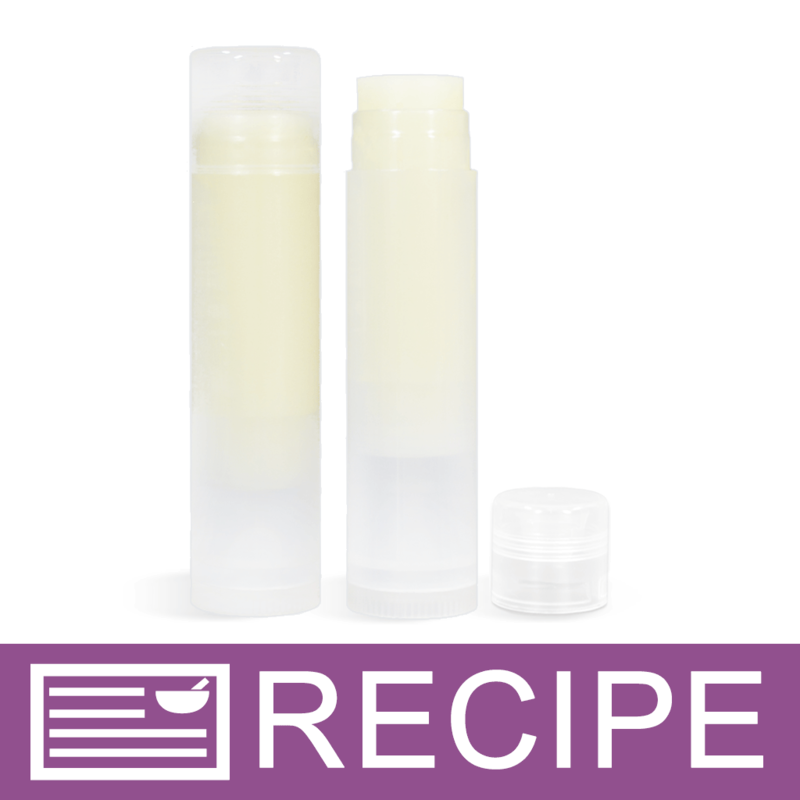 If you are looking to replace the candelillia wax in a lip or balm recipe, you can use beeswax. When using beeswax you will double the amount by weight that you would have used with candillilia wax.